Choose one of our Construction and Drafting Technician program options. Blend of construction theories/practice and computer application. Computer application and practical knowledge are focused on. Skills for developing, monitoring, and controlling construction projects. Brighton College’s Construction programs focus on building design and drafting, estimating, interior design, piping services design, high-level computer-aided design modeling, construction project management, and the application of building code and city bylaws to construction projects. Successful students are well-prepared for employment opportunities in local construction firms and with contracting, engineering, and architecture companies. In 2017, construction projects underway in BC totalled a value of approximately $75.1 billion, with proposed projects totalling a value of over $325 billion (British Columbia Major Projects Inventory, Fourth Quarter 2017). 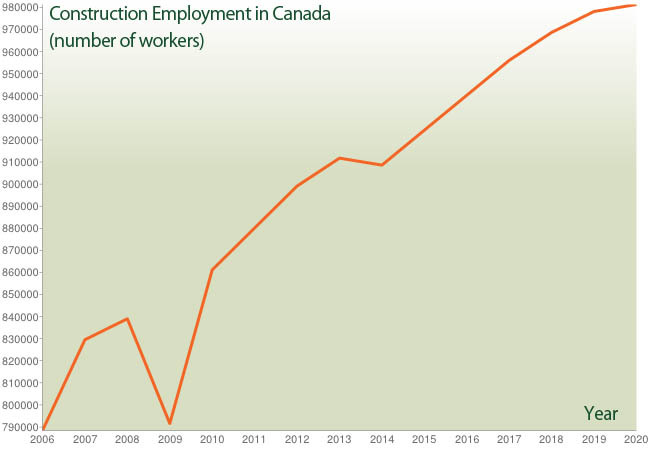 The construction sector accounts for one of British Columbia’s three principal sources of employment, and currently is seeing a notable demand for professionals with the skills to design, plan, and execute a variety of private and public construction projects. An expected 59,100 jobs are expected to open up in the Construction industry in BC in between 2017 and 2027 (B.C.’S Labour Market Outlook: 2017 Edition).